Please rotate your device horizontal to view this page. We cannot thank you enough for really bringing a dream to reality. The new Coyle Institute is simply amazing! 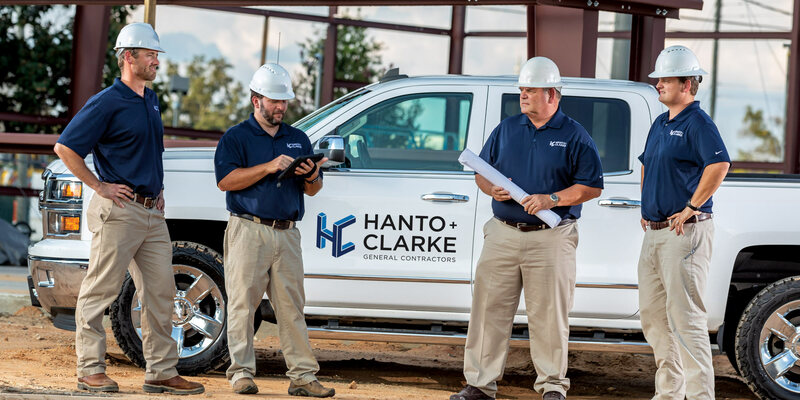 At Hanto + Clarke, our goal is to bring your dream for a new commercial space to reality. Some clients come to the table already having a set of plans. Others simply have an idea for their space and how they intend to use it. Our priority is to understand your expectations so that we can share your vision and provide you with the most enjoyable experience possible. We have the expertise to articulate your ideas, develop a tailored plan for your project and execute it with quality, creativity and your satisfaction in mind. Bringing your vision to life. We are Hanto + Clarke. Design-Build allows us to be your single point of contact from project conception through completion. Our passionate and experienced team will cultivate your vision, develop plans within your budget, drive schedule and ensure your satisfaction every step of the way. The entire experience is client-focused so you can trust our process and our integrity. We are committed to meeting all your expectations when we hand you the keys to your new dream commercial space. Excellence on time. We are Hanto + Clarke.